Both of these delicious Venetian plates are from fresh produce and ingredients- straight from my cousins’ Lucia and Marylena’s homes. 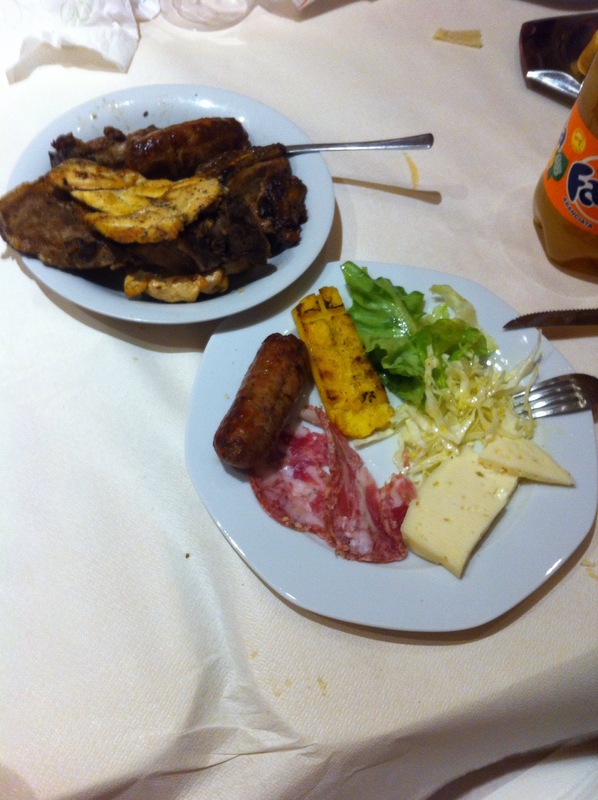 Polenta, Sopressa, sausage, fresh salad and cabbage, and the famous Asiago cheese (straight from the farmer! Also, straight from the neighbor’s farm are the delicious pork chops on the grill. 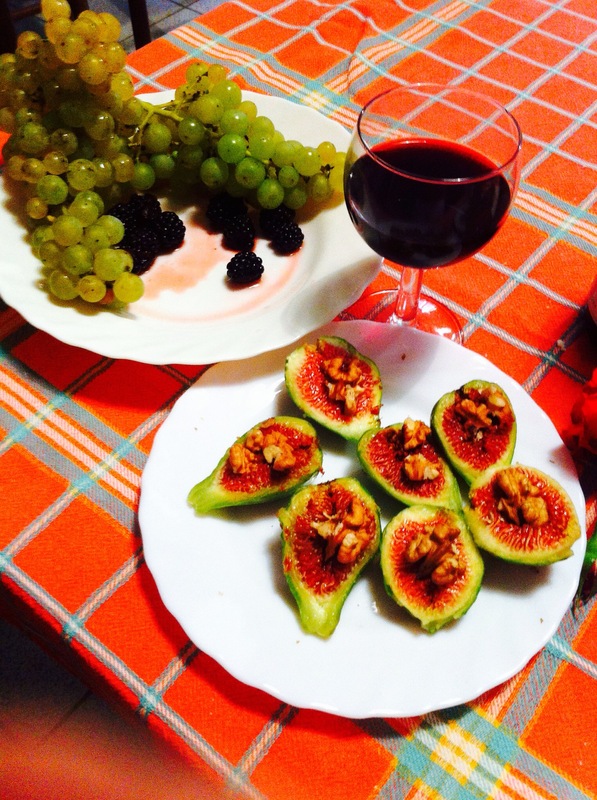 For dessert: fresh figs topped with walnuts, wine and grapes – all from the garden!